The recently concluded Pakistan tour of South Africa was one where the visitors enthralled us all with their patented flashes of brilliance, but South Africa dug deep and won the “moments”, going on to claiming all three legs of the series. Though they won the Tests and T20Is quite easily, Pakistan ran the hosts quite close in the ODIs. But for a rain-marred game, the result could have gone either way. This series also unearthed a genuine batting talent for South Africa in Rassie van der Dussen, who seems to have the potential to be an all-format batsman for the team. Andile Phehlukwayo looks to be coming into his element as well. 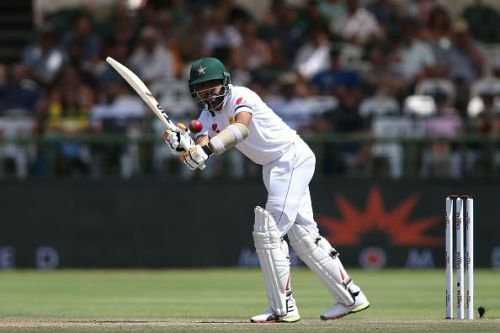 Pakistan saw the continual meteoric rise of Babar Azam across formats, with the likes of Imam-ul-Haq, Shaheen Afridi, and Faheem Ashraf putting forth good performances as well. Babar Azam is undoubtedly turning into the Crown jewel of Pakistan’s batting line-up. Perhaps not since Mohammad Yousuf has there been a Pakistani batsman as fluent and composed as Babar. And he compiled a brave, counterattacking innings against the marauding South African pacers that didn’t just capture eyeballs all around, but seriously questioned his position in the batting line-up. Coming in at 62-4, Babar saw wickets tumble at the other end, as Pakistan slipped to 111-8. It was then that he unleashed a repertoire of clinical strokes that had everyone awestruck for the next 10 odd overs. He was especially severe on Dale Steyn as he returned to the attack for his third spell. 10 fours in 4 overs, and a 71 off 79 balls later, an enterprising innings came to an end thanks to Kagiso Rabada. While this innings didn’t lead anywhere for Pakistan, the sheer audacity and brilliance of it earns it a spot in the Top 5.